I’ve decided to make November ‘Confidence Building’ month. I posted over at my Leading with Intention blog how I’ve been challenged recently with Sustaining Confidence. To support myself – and maybe you, too – I’m going to declare a word and mantra each day to move me toward greater integrity with myself and my Guiding Principles. I am grateful for all the blessings in my life, among them my family, my friends, my home, and my work. Today I appreciate who I am and what I can do with the body, mind and spirit that I am. 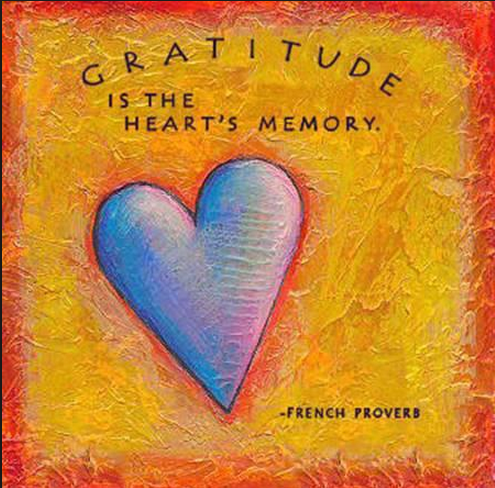 By practicing gratitude, I am shifting my energy to bring what I want into my life. Excited to walk side by side with you on your confidence journey, Vicki! Sounds like a wonderful gift to give yourself Vicki and encourage us to do as well, thanks for sharing. This morning I felt like reconnecting with my Guiding Principles so I found myself back at this Confidence Building series. I smiled when I saw it was almost 3 years ago to the day that I initially created this…something about the shorter, darker, colder days that has me reaching for a little extra sustenance.